Frank Ugochukwu Edwards is a Nigerian top gospel singer and rapper, who was born in Enugu State, Nigeria. We have previously published Mercy Chinwo's biography, and today we will be seeing fellow Gospel sensation, Frankrichboy. We will see Frank Edwards' family, wife, children, early life, net worth, cars, houses and more...hehe! Born 22nd July, 1989, Franklin Ugochukwu, otherwise called Frank Edwards is a Nigerian top gospel music singer and song-writer. He was born into a family of seven and started singing at the age of ten. He learnt how to play the piano from his dad and became a born again Christian at a very young age. Currently, Frankrichboy has about six albums to his credit and so many hit singles. He also has a record label, Rocktown records and has artists like Gil, King BAS, Divine, Nkay, Dudu, David, Micah Heavens and of course, Frank himself. About Frank Edwards' wife, wedding and children, calm down we know you are eager to see him walk down the aisle...Lol! He isn't yet married. 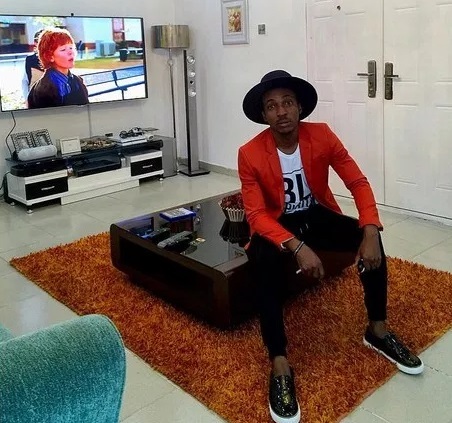 A producer, song writer, singer and even writer, you will often see Frank appearing in most of Pastor Chris Oyakhilome of Christ Embassy Church's live videos and recordings. He is a member of the Christ Embassy Church which is also home to the likes of Sinach and Ada. Frank's debut album, 'The Definition' was released in the year 2008 and had 14 tracks in it. It was distributed by the Honesty Music. His second album, 'Angels on the Runway' was released in 2010 and a third 'Unlimited', 2011. He also released another album, 'Tagjam', November 2011. Having been featured in so many Sinach's videos and live performances, as well as plenty others, he no doubt is one of the hottest gospel artists in Nigeria. He is also a master mixer and producer. His record label has a lot of promising younger artists and all doing very fine! I remember the 2016 version of the annual program, 'Send Down Your Glory' which is powered by the Assemblies of God Church, Owerri had the performance of Frank Edwards and famous American gospel artist, Don Moen in performance. I was in attendance and Don Moen had announced his collaboration with Frank, and that became the album,'Grace'. From our estimations, Frank Edwards' is worth close to $600,000. He also has a good number of cars, houses and other assets, thanks to his successful music career! Thanks for reading along, I'm pretty sure you know more about your favorite gospel artist now. What's more? Kindly drop your comments and share so your friends can see it too!